The Ditters Gourmet Cakes were initially made in the home kitchens of Mrs Joan Ditter (Bill’s wife) and the factory foreman’s wife, Joyce. After a few years, they couldn’t keep up with demand so production was moved to the factory. 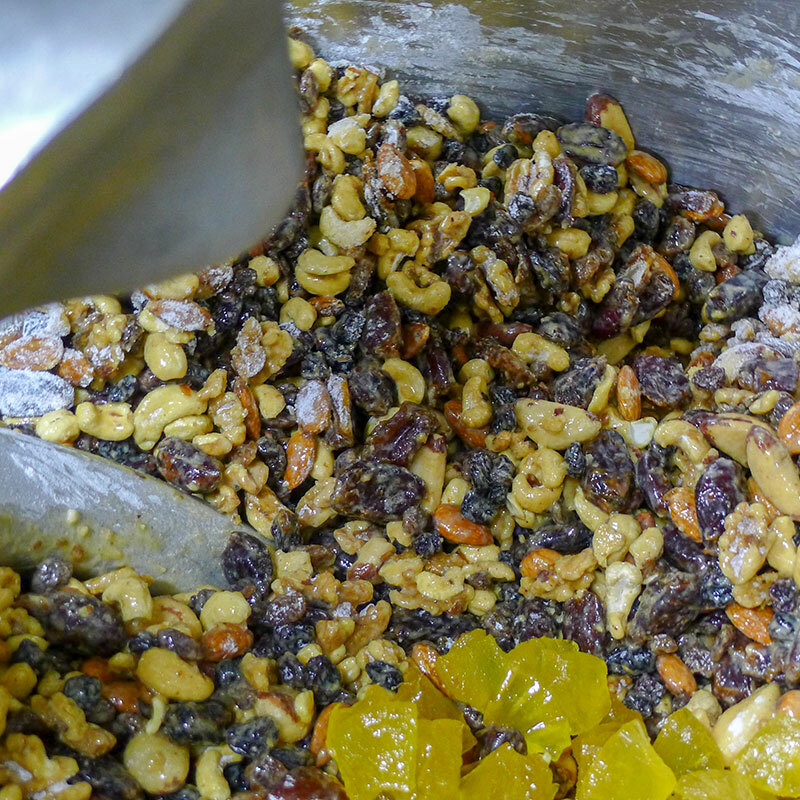 The Gourmet Cake is essentially a summary of what Ditters used to sell: a rich assortment of dried and glacé fruit and nuts, held together with the barest amount of cake mixture, and hand garnished with glacé fruit. 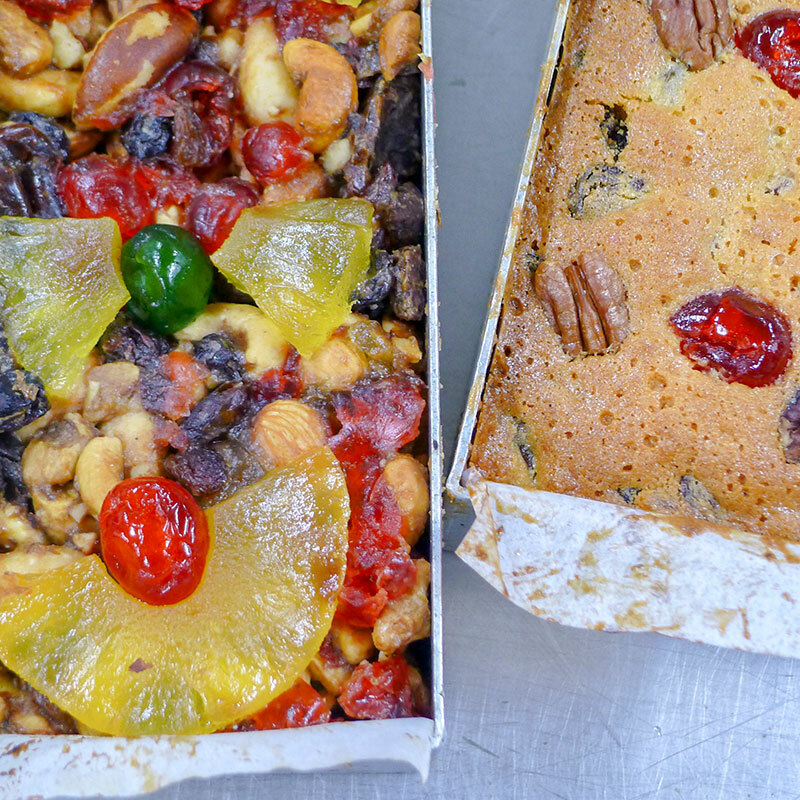 The Mrs Ditters Fruit Cake is a deliciously moist and buttery cake, also with hand garnishing and a colourful assortment of dried and glacé fruit and nuts. Plus the favourite that makes it sing: glacé ginger, and just the right amount of it. 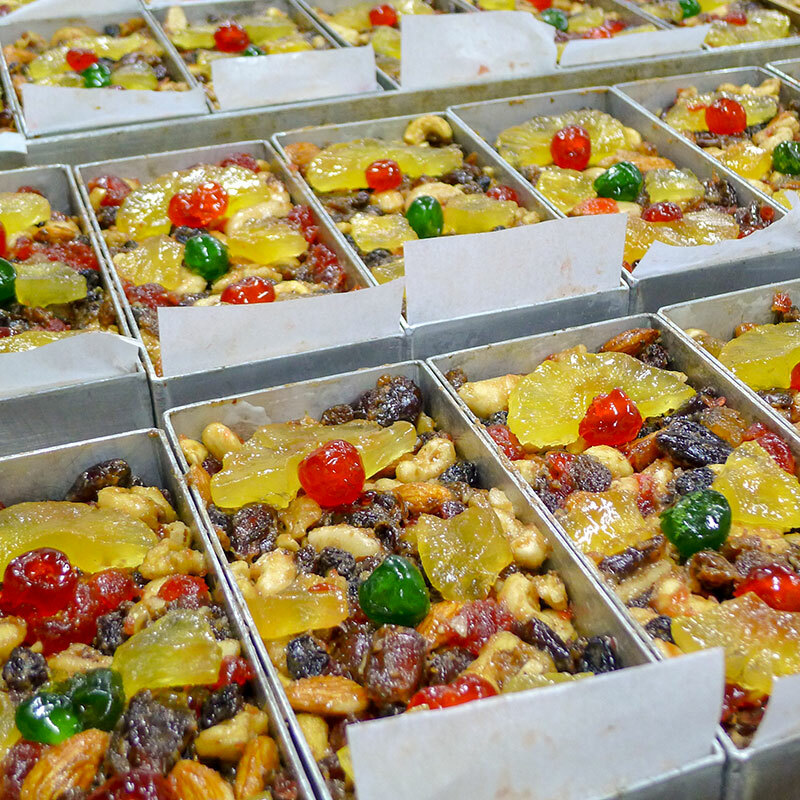 The cakes are still made today to the original recipe and many thousands are produced each year in South Australia. It’s no wonder that Ditters Gourmet Cakes were popularly known as ‘stained glass window cakes’ when they were first introduced. Their vibrant and lively look is matched only by their wonderful taste and full-bodied texture. 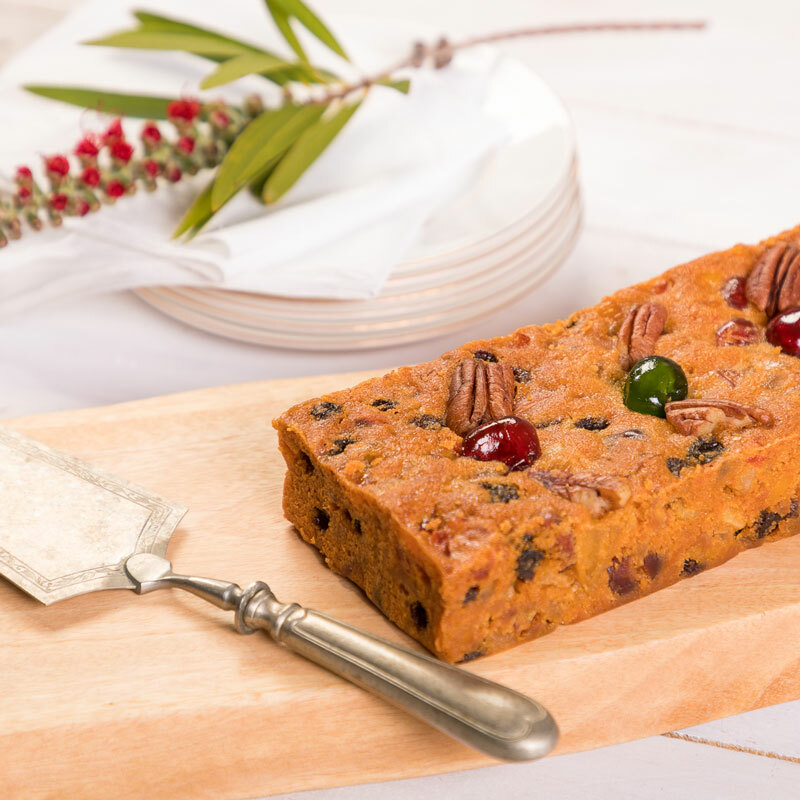 Christmas just isn’t the same without a Ditters Gourmet Cake on the table!